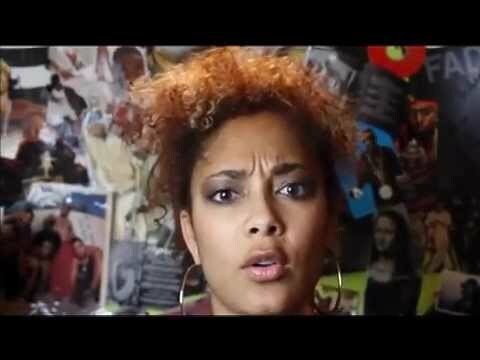 "Death of the Diva" is a hilarious, thought provoking 1-woman musical narrative, in which TV Personality/artist Amanda Seales challenges pop culture's portrayal of women one character at a time! This travel sized version was taken from the March 2012 run at the Helen Mills Theater in NYC featuring snippets of all the music and characters in the production. [/ig_text][/ig_column][/ig_row][ig_row width=”boxed” background=”none” solid_color_value=”#FFFFFF” solid_color_color=”#ffffff” gradient_color=”0% #FFFFFF,100% #000000″ gradient_direction=”vertical” repeat=”full” stretch=”none” position=”center center” paralax=”no” border_width_value_=”0″ border_style=”solid” border_color=”#000″ div_padding_top=”10″ div_padding_bottom=”10″ div_padding_right=”10″ div_padding_left=”10″ ][ig_column span=”span12″][ig_divider el_title=”top divider” div_border_width=”5″ div_border_style=”solid” div_border_color=”#000000″ disabled_el=”no” ][/ig_divider][/ig_column][/ig_row][ig_row width=”boxed” background=”none” solid_color_value=”#FFFFFF” solid_color_color=”#ffffff” gradient_color=”0% #FFFFFF,100% #000000″ gradient_direction=”vertical” repeat=”full” stretch=”none” position=”center center” paralax=”no” border_width_value_=”0″ border_style=”solid” border_color=”#000″ div_padding_top=”10″ div_padding_bottom=”10″ div_padding_right=”10″ div_padding_left=”10″ ][ig_column span=”span3″][ig_image el_title=”Death of the Diva Flyer” image_file=”http://amandaseales.com/wp-content/uploads/2014/05/Amanda-Seales-Death-Of-the-Diva-.jpg” image_size=”full” link_type=”no_link” image_container_style=”img-rounded” image_alignment=”center” image_margin_top=”0″ image_margin_bottom=”0″ image_effect=”no” disabled_el=”no” ][/ig_image][/ig_column][ig_column span=”span9″][ig_text el_title=”blurb” enable_dropcap=”no” disabled_el=”no” ]In Death of the Diva, a comedic musically infused one-woman show, Amanda challenges pop culture’s portrayal of women one hilarious character at a time. Melding melody and monologue, this hilarious, thought provoking show calls out the cause and effect of the overwhelming number of negative images of women in today’s media and gives rise to restoring the balance. Accompanied by a three-piece band, Amanda morphs between character and narrative compelling audiences to laugh, empathize, and nod their heads. Death of the Diva uses Amanda’s trademark blend of humor, intellect, and inspiration to combat the steady rash of demeaning images across media and enforces the message that dignity and integrity are never a worthy price to pay for celebrity. Rooted in improv the show is a unique experience for every audience! Click date to purchase tickets. No upcoming dates at this time. Check back soon!